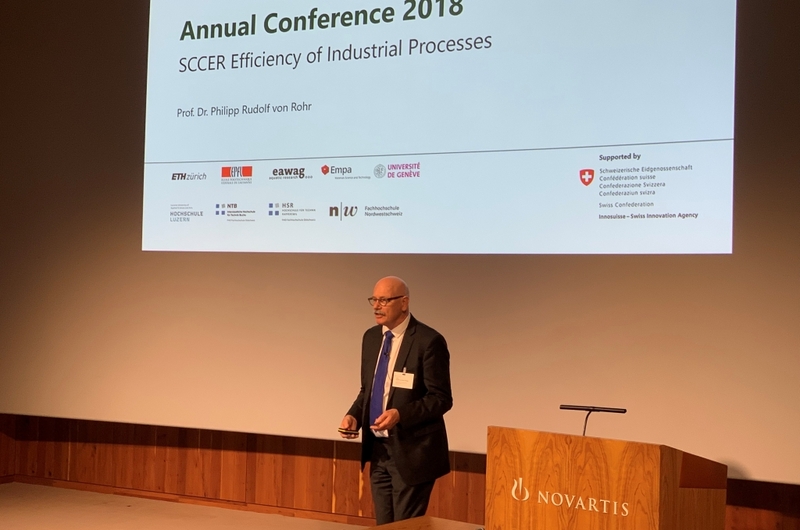 The Annual Conference 2018 of the SCCER EIP was held on 9 November 2018 at the Novartis Campus in Basel. In a great environment the participants were informed about the latest research results and the cooperation with the industrial partners. A presentation by Andrej Szijjarto from Novartis on their sustainability strategy rounded off the presentation of topics from the SCCER EIP.